This is disgusting when one thinks about all the native animals that will suffer, and be torched to death. 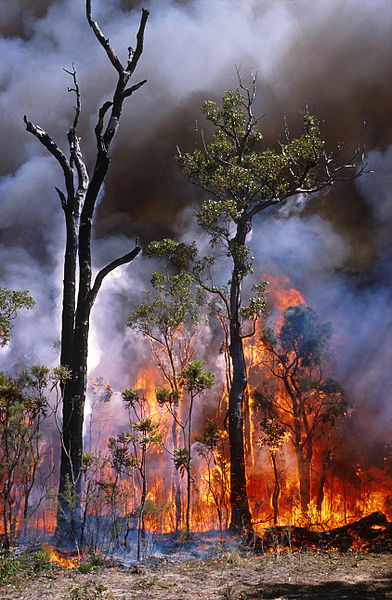 Tony Abbott and Greg Hunt have just introduced changes to the Renewable Energy Target into Parliament that would allow the burning of our native forests to count towards the RET. Labor allowed Tony Abbott and Greg Hunt to introduce a bill into Parliament that would see the burning of our native forests count towards the Renewable Energy Target. This is a disgrace, but if we act now, together we can stop this. Click here to sign our petition calling on the old parties to not do a deal on burning our native forests. Tony Abbott wants to do a deal with Bill Shorten that would undermine genuine renewable energy projects that reduce pollution, build a “clean economy” and “create sustainable jobs”. It’s full of political-correctness and pseudo-environmental slogans, but it’s about burning our forests, and all the biodiversity functions. The Labor/Liberal deal on the Renewable Energy Target is already abysmally low, with Labor agreeing to a 20% cut to the target, and now they’re on the verge of undermining the RET further by allowing the law to count the burning of our native forests as ‘renewable energy’. Tony Abbott and Greg Hunt will try and push through these changes through Parliament as quickly as possible to sweep this disgraceful deal under the rug. But we can’t let them get away with this. Add your voice before it’s too late. The RET should be driving investment in renewable energy, growing the clean economy and creating sustainable jobs, not cutting down and burning up our native forests. Tell Tony and Bill that the burning of native forests for energy is a backward idea — it is destructive, creates pollution and is ultimately unsustainable. Click here to sign our petition calling on political parties to not do a deal on burning our native forests.